We’d love your help. Let us know what’s wrong with this preview of Where The River Begins by Patricia St. John. A confused and misguided youngster stays with a Christian family while his mother is institutionalized. The family helps him discover the source of the nearby river and the source of the Christian life. To ask other readers questions about Where The River Begins, please sign up. I just really love this English writer. All of her books are so original and inspiring. Another outstanding book for youth by this author. A story of unconditional love by one family toward a young boy who is troubled. Ten-year old Francis has hard lessons to learn in "Where The River Begins." He doesn't know where he fits in since he thinks he is unwanted at home by his mother, his step father and step sisters. One sister in particular, he is always fighting with and it's he that gets blamed every time as though his sisters could do no wrong. He befriends a small Indian boy who is Another outstanding book for youth by this author. A story of unconditional love by one family toward a young boy who is troubled. 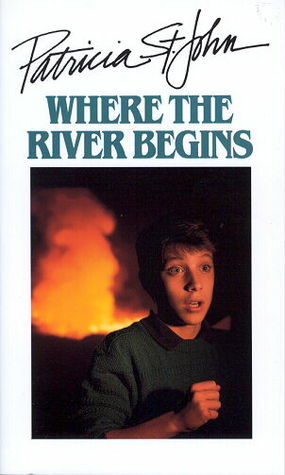 Ten-year old Francis has hard lessons to learn in "Where The River Begins." He doesn't know where he fits in since he thinks he is unwanted at home by his mother, his step father and step sisters. One sister in particular, he is always fighting with and it's he that gets blamed every time as though his sisters could do no wrong. He befriends a small Indian boy who is delighted to finally have a friend as Ram is very shy in this place away from his homeland. Francis likes Ram well enough but it's the tough older kids that he wants to hook up with and become "cool" just like them. The day a fire breaks out in a home is when Francis starts learning those difficult lessons. "God is like the source of a beautiful river - all love and happiness come from Him." "I think our hearts inside us are a bit like that spring you found...fouled at the source, full of dirt and dead leaves and the water was all muddy." Disappointing since her Tanglewoods Secret and Star of Light were favorites of mine as a child. This is too evangelistic and intent on making the symbolism clear. She uses multiple POVs, including adult. It feels like she read some articles about the causes and cures of juvenile delinquency rather that interacting with real teens. I like Patricia St John's books! This one is a story of a boy whose life changes after he learns about Jesus from a family--not his own--who loves him, despite his problems.